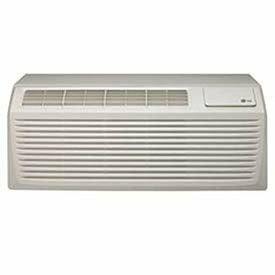 The LG LP123CD3B is a 208/230V packaged terminal air conditioner (PTAC). This model offers a 12,000 BTU cooling capacity with 3.1 kW electric heat. It has a dehumidification capacity of 3.0 pints per hour, all of this at an impressive 11.9 EER (energy efficiency rating) that can significantly reduce heating and cooling costs. These PTAC units are designed to provide a quiet and comfortable experience, specially designed for use in lodging facilities and hotels. An easytouse, ADAcompliant digital control display clearly shows the temperature. It features buttons for cooling, heating and fan modes, as well as an environmentallyconscious energy saver mode. Pressure control functionality in each unit protects guests from abnormal high pressure conditions, while freeze room protection ensures a comfortable experience by preventing freezing. Furthermore, the 208/230V line of PTAC units feature a ceramic heater component, which offers a platform that provides even, stabile and safe heating. LG also has designed a widerange of accessories to help hotels and lodging facilities have more control over their PTAC units, including front desk and energy management system connection kits and both wired and wireless thermostats. Plus, this PTAC also features a dip switch setting that sets an absolute low and high temperature in order to save money. All LG PTAC models feature innovative Gold Fin anticorrosive treatment. This protects the air conditioner from the normal corrosive effects of operation and is an LG patented process. These PTAC units also feature an auto restart mode for if power is lost and reconnected, as well as an auto changeover mode between heat and cooling modes. 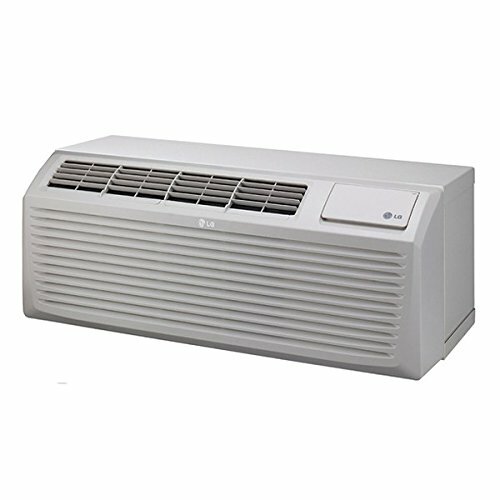 LG's packaged terminal air conditioners are also wellknown for their quiet operation, with this model in particular having an indoor sound pressure level of 50 dBa and an outdoor sound pressure of 63 dBa.